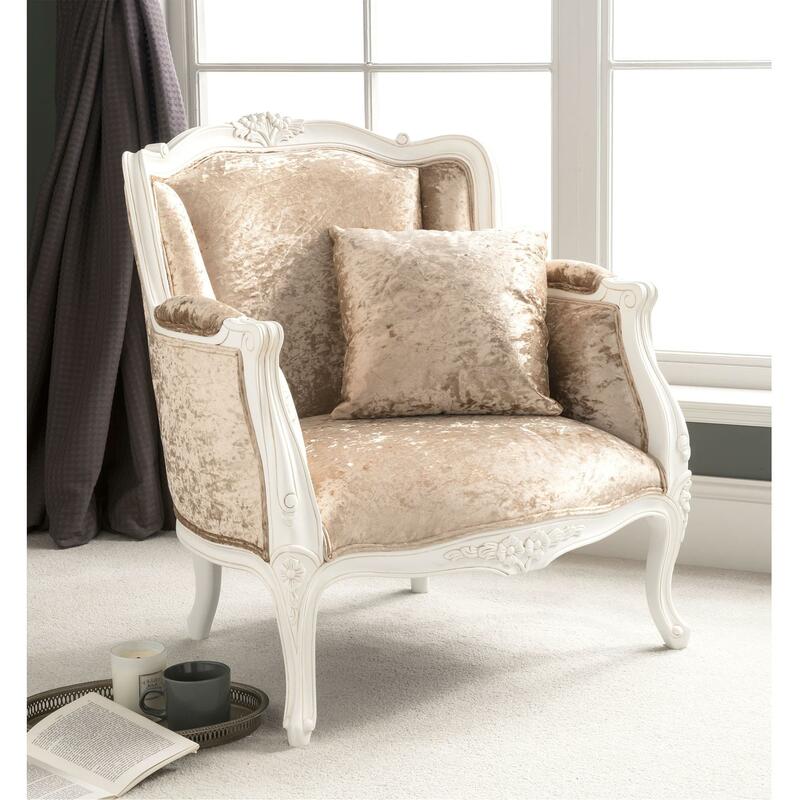 Ideal to brighten up any room in your home and add a touch of class comes this awe-inspiring antique French style tub chair. Finished in a luxurious antique white with a delinquent upholstered patterned fabric and cushion. Handcrafted an carefully built to the highest of standards by experts, this beautiful French style tub chair will astound and look fantastic complimented alongside our range of French style furniture or shabby chic furniture.